Greater cooperation between India and Taiwan could prove critical in helping New Delhi and Taipei achieve their economic goals at home and their strategic aims in the region. It is time to acknowledge the importance of India – Taiwan relations. India should consider its own interests not the third party’s ones, when it thinks of developing relations with Taiwan or other countries. The areas of cooperation between India and Taiwan are bound to be limited so long as their political relations remain negligible. With the two sides having established representative offices in 1995 in New Delhi and Taipei respectively, India-Taiwan relations have been improving gradually. Between 1995 and 2014, the bilateral trade turnover has grown manifold from just $934 million to $5.91 billion. Both sides have also expanded educational exchanges after a mutual degree recognition agreement in higher education was signed in 2010. In the field of science and technology, there are more than thirty ongoing government-funded joint research projects. However, the India-Taiwan relationship is still small scale when compared to the potentials. Constrained by its commitment to Beijing’s “One China” policy, New Delhi finds it difficult to realise the potential of its bilateral relationship with Taiwan. Even as India launches its “Act East” policy and ambitious initiatives such as “Make in India”, it is time to highlight the importance of Taiwan for an emerging India and bring the India-Taiwan relationship into focus. 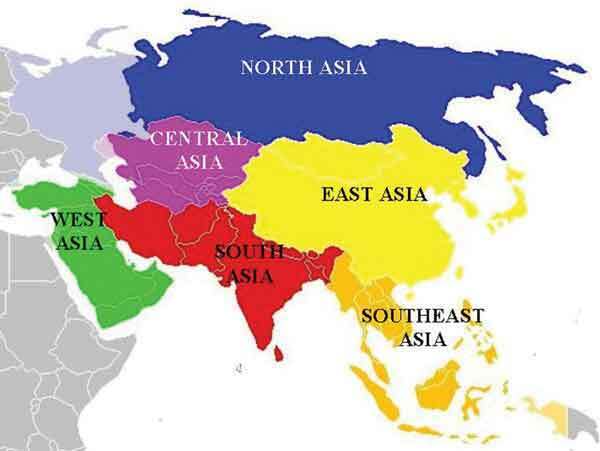 How does India envision South Asia? What do Indian policymakers envisage the country’s regional role to be? The issues and actors that dominate India’s regional foreign policy give a glimpse of the country’s priorities in the region. The much-touted “shift” in Indian diplomacy under Narendra Modi offers us a window into the priorities of the new government and the extent to which continuity from the past shapes its regional policy today. This report explores how India works both above and below the regional level in an effort to secure its regional diplomatic and economic priorities. It examines the following five issue areas that have influenced India’s relations with its neighbours: the South Asian Association for Regional Cooperation, India as a humanitarian actor, supraregionalism and subregionalism, border politics, and democratisation. The report closes with reflections on what implications these engagements might have for Indian foreign policy in the future, arguing that a more inclusive and engaged leadership by India could help to resolve some of South Asia’s most vexing and intractable challenges. How does India see itself in the modern world and what factors help us understand its foreign policy decisions? Prime Minister Narendra Modi’s strong mandate has opened up a series of new policy initiatives to explore in both hard power and soft power terms, highlighting what India uniquely brings to the global stage. But there also appear to be many inherent contradictions in Indian foreign policy, as the country looks to be a global power in some settings, an emerging developing country power in others and a poor Global South participant in yet others. The different arms of India’s foreign policy apparatus can (and do) argue for all of these approaches simultaneously in an effort to further their respective policy goals. In order to explore this playing field, the report gives a brief background to India’s global interactions, and then explores contemporary foreign policy drivers through India’s engagements in five representative issue areas: climate change, energy security, food security, economic engagements and the Responsibility to Protect. It concludes with thoughts on how India’s interactions in pursuit of its interests in terms of these global issues can illustrate the varied and often contradictory components that constitute the country’s varied current foreign policy engagements. South Asia continues to be in a state of flux. Maldives, which recently faced political turmoil, now appears to be stabilizing. Sri Lanka, post the last election, has seen a sea change in its internal situation. It is still early days and the tussle between the previous and present heads of state continues. Nepal has still to resolve the issue of the Madhesis, though talks are in progress. Strikes and blockades which had shattered the economy of the country, as also resulted in shortages of all commodities, has now started to recede. The Nepal premier is scheduled to visit India soon to further resolve issues. Bangladesh continues to witness confrontation between the two major political parties. The IS has begun making its presence visible in the country. It has claimed responsibility for the murder of foreigners, bloggers and security personnel. Myanmar, though showing signs of stability, has still a long way to go and continues to battle insurgencies in its north. I don't mean to downplay Fox News' exclusive that China has deployed advanced HQ-9 surface-to-air missiles to Woody Island in the South China Sea. It is another escalatory move by Beijing and does raise the stakes in the increasingly tense game being played around various disputed territories in the region. But to add a bit of context, this is not the first time China has deployed advanced military equipment to Woody Island — last November it was J-11 fighter jets. So as Mira Rapp-Hooper from the Center for a New American Security says, this deployment is not totally unprecedented. It's also worth noting that the satellite imagery which Fox News has published shows that the vehicles which make up the two HQ-9 batteries are parked on a beach rather than in any purpose-built facility. The HQ-9 is a mobile system; its missiles, radars and command systems are all mounted on heavy vehicles which allow them to not only deploy away from bases but also off-road. But these batteries do have home bases where the missiles, radars and other systems are maintained, and where the crews are housed. The Chinese also build permanent launch sites for their HQ-9s, large concrete structures which are easy to spot on satellite. February 16, 2016: On January 20th members of a Chinese message board (Di Ba) launched a massive attack on Facebook that resulted in over 100,000 comments added over eight hours to the Facebook page of Tsai Ing-wen, Taiwan’s newly elected president. Also hit were several Taiwanese Facebook pages advocating an independent Taiwan. The Di Ba member comments opposed Taiwanese independence. China considers Taiwan a renegade province of China and threatens to invade if Taiwan declares independence. 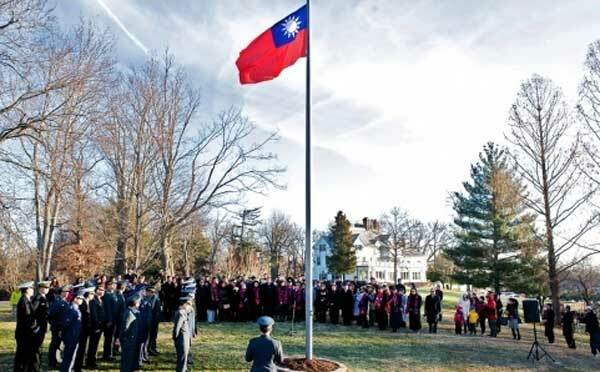 Tsai Ing-wen has expressed interest in independence. China has banned its citizens from using Facebook and made it very difficult for anyone inside China to even access Facebook. There are Chinese equivalents as well as some of the largest message boards on the Internet. Di Ba is one of the largest of these with about 20 million members. The Di Ba attack was considered a non-government effort by the Chinese but that is unlikely. The more likely culprit is the network of pro-government Internet “militias.” Since the 1990s China has been organizing and expanding a volunteer Internet Army (as it is called in China). In 2011, for example, the government “encouraged” companies to organize their Internet savvy employees into a cyber-militia and inspire these geeks to find ways to protect the firm's networks. This did not turn out exactly as expected, as many of the volunteers have become successful, but unpopular, censors. It’s now widely accepted one of the most annoying things for the new Chinese middle class is the censorship (especially on the Internet). The most annoying censorship is the online version that is carried out by paid and volunteer censors at your company or in your neighborhood. This use of “local activists” to control discussions and inform on possible troublemakers (or worse, like spies or criminals) is an old Chinese custom and one that was highly refined by the 20th century communists (first the Russians, who passed it on to their Chinese comrades). The old-school informer network suffered a lot of desertions and other damage during three decades of economic freedom. But the government has been diligent about rebuilding the informer and censor network online, where it’s easier for the busybodies to remain anonymous and safe from retribution. The on-line informers are also useful for keeping an eye on foreign businesses. In his magisterial history of strategy, Lawrence Freedman argues that the most interesting strategists of the past 50 years have been American businessmen. The Hard Thing About Hard Things is all by itself proof of Freedman’s argument. Ben Horowitz is a founder of two big businesses and one of Silicon Valley’s most respected venture capital firms, Andreesen Horowitz. His firm specializes in founder-run businesses. The Hard Thing About Hard Things is a guide for startup CEOs about how to be a CEO. Horowitz uses his own experiences as a founding CEO to illustrate the essential knowledge CEOs need. Mariners say there is no education so valuable as sailing on a sinking ship. Horowitz gives a gunwale view as his businesses take on water. Freedman defines strategy as the art of generating power by finding creative solutions to pressing problems in contests against smart adversaries. Strategy requires people capable of supple thinking to create new alternatives, fluid in adapting plans to changing circumstances. The Hard Thing About Hard Things is a master class in scrambling to find solutions before market competitors, technological innovation, attrition or discouragement of crucial staff, and insolvency drive you out of business. His fundamental conclusion: “if there is one skill that stands out, it’s the ability to focus and make the best move when there are no good moves.” Even Freedman couldn’t have said it better. Russia is already winning a new Cold War in the Mediterranean by re-establishing a permanent air and naval base on the Syrian coast under the guise of helping Bashar Assad fight terrorism. That bold move is a geostrategic disaster for the U.S. and its allies, and President Obama has shown only very modest concern about it while trying to treat Russia as a partner in Syria. The ships and aircraft Russia has moved there already threaten one NATO ally, Turkey. But they will menace many other NATO members in years to come, as part of Vladimir Putin’s larger effort to undermine and ultimately break the alliance, and claim a permanent Russian role in the Mediterranean Sea. The Russian redoubts will soon force the U.S. to deploy more ships and planes of its own simply to maintain our ability to operate in what has been a NATO lake for more than a quarter-century. And if we fail to do that, even worse scenarios could emerge. UNDER SECRETARY STENGEL: Thank you, Clarissa. Good evening, everybody. Clarissa mentioned at the top that I’d spent most of my life and career in journalism, and I’m still getting used to being a government person. In my old life, I didn’t know very much and I tried to be as controversial as possible. Now I know a lot and I try to make no news at all. So I hope I accomplish that tonight. So I want to answer your question, but I also want to respond to Jared and Yasmin, and thanks so much for having me tonight. It’s a little bit contrarian to begin where I’m about to begin at an event that basically is animated by Google, which is to say that ISIL messaging is not all about social media. Social media is in some ways the tip of the iceberg. There’s a very fancy term in sociology called the availability heuristic, which means that thing that you see assumes gigantic proportions, much bigger proportion than it actually is. Because we see the few things they do on social media in English, we think everything they do is on social media. Can I tell you something? In Iraq and Syria, they’re on billboards, they have kiosks, they do flyers, they have imams preaching sermons. CIA Director John Brennan said he believes it is inevitable that the Islamic State group will try to stage an attack on American soil, and the growing threat of cyberwarfare "really is the thing that keeps me up at night." "The cyber environment can pose a very, very serious and significant attack vector for our adversaries if they want to take down our infrastructure, if they want to create havoc in transportation systems, if they want to do great damage to our financial networks," he said in a Feb. 14 interview on CBS' "60 Minutes." At the same time, Brennan does not appear to forecast an imminent widespread cyberthreat from terrorists or other non-state actors. "Having the capability [to attack the grid and other critical infrastructure] but then also having the intent are two different things," he said. "I think fortunately right now those who may have the capability do not have the intent. Those who may have the intent right now I believe do not have the capability [because] if they had the capability, they would deploy and employ those tools." Last year, former UK Secretary of State for Defence, Des Browne, warned that UK nuclear weapons could “be rendered obsolete by hackers”, and that without a comprehensive assessment of this risk to the Trident system, a future Prime Minister may not be certain they had a “reliable deterrent” that could be used when needed. Lord Browne’s comments, which were based on personal experience and a 2013 report from the US Defense Science Board, have been met with a diverse reception; for some the Trident system is inherently safe from hackers because it is “air-gapped” from the wider Internet when on patrol under the surface of the ocean; while others claim that cyber attacks could make the system obsolete before work on the successor even begins. Either way, the fact that Trident relies on numerous computers, complex software and endless lines of code means it must be assumed to be vulnerable to interference in some way, and this new challenge seems set to play an increasingly important role in the debate over renewal, and raise serious questions about the longer-term efficacy of the UK nuclear deterrent. Download the full article to read the rest. Tech giant Apple and the FBI appeared headed for a deepening confrontation Wednesday after the company’s chief pledged to fight federal demands to help mine data from an iPhone used by one of the shooters in December’s terrorist attacks in San Bernardino. The clash reflects wider debates in the United States and elsewhere over security measures used by companies to protect users of devices such as smartphones — and how much leverage authorities should have to gain special access. “We have great respect for the professionals at the FBI, and we believe their intentions are good,” Apple chief executive Tim Cook said in a strongly worded open letter posted late Tuesday on the company’s website. The Justice Department sought the order “in the hopes of gaining crucial evidence” about the Dec. 2 shooting rampage, which killed 14 people and injured 22. I’m definitely not a scientist. I’m a warfighter. And what I carry into battle today is not much different than what I carried when I entered the army in 1993. The M4 rifle is slightly updated from the one I carried in 1995. The 5.56 mm rounds or 7.62 mm ammo belt is Vietnam vintage. The entrenching tool, weapon magazines, knives, flashlights, poncho, and boots are for the most part exactly the same. You can see why I find scientific inventions that support the Nation’s tip of the spear underwhelming. Yes, I’ve seen many of the prototypes for things such as exoskeleton suits, robotic mules, and hand held drones that are all supposed to help the future ground soldier. But that’s just it; it’s always the future soldier. I guess I had higher ambitions for the scientists that put a man on the moon and invented the internet. How should the United States prepare for a future characterized by the rise of new adversaries, rapid change, and declining defense budgets? Deputy Secretary of Defense Robert Work and Vice Chairman of the Joint Chiefs of Staff Gen. Paul Selva have pointed to wargaming, which famously helped the United States to prepare for the Second World War. They argue that wargames offer the Department of Defense a relatively inexpensive but powerful way to explore possible future conflicts, test ideas, and ultimately identify ways to prevail. Accordingly, the Pentagon is seeking to employ wargames more broadly — and to use game results more directly to influence its strategy, policy and programs. These are laudable goals. Nevertheless, creating, orchestrating, and observing recent games across the Department of Defense — and conferring with the broader gaming community — has made us aware of a number of potential challenges. These are important to keep in mind for a reinvigorated wargaming enterprise to succeed. Over the past year, the U.S. Department of Defense has engaged in an effort to reinvigorate the aging and exhausted U.S. military by reassessing and reforming its strategic and tactical priorities. These reforms are far-reaching in nature, ranging from the strategic pivot to Asia, to personnel reforms aimed at creating a more adaptive “force of the future,” to investments in new, high-tech war-fighting platforms. A key piece in this suite of changes, and the most significant from an operational standpoint, is DoD’s “third offset strategy” — an initiative aimed in part at countering new anti-access area-denial (A2AD) capabilities with a range of new technologies. And as the recent FY2017 budget rollout has illustrated, this reform effort is starting to take shape. The announcement of the third offset strategy has attracted much attention from within the defense policy community, and has been heralded by many as necessary for the United States to maintain its technological edge. And these efforts will no doubt result in significant benefits for the U.S. military. But this emphasis on innovation is not without its risks, many of which might be overlooked, underestimated, or even ignored in the excitement of a new defense initiative. Indeed, the tendency to equate technological innovation with positive change — perhaps the result of publicized successes in the private sector — often misses the myriad costs and challenges that accompany major overhauls of the kind announced by DoD. The Air Force’s selection of Northrop Grumman to build a new stealth bomber is the first major award in years to withstand a government audit and, for some, a win for Pentagon reforms. In a ruling Tuesday, government auditors upheld the U.S. Air Force’s decision to award an $80 billion classified contract to Northrop Grumman for a new long-range stealth bomber. While their rejection of a protest filed by Boeing and Lockheed Martin — the world’s two largest defense firms — is being touted as a financial boon for Northrop, the unseen winners are theAir Force’s arms buyers who worked behind the scenes evaluating the bids. “We’re pleased with the decision and we’re anxious to get started on the program,” Frank Kendall, the Defense Department’s top arms buyer, said in a statement provided by a spokesman. Gates, Scott; Håvard Mokleiv Nygård; Håvard Strand & Henrik Urdal (2016) Trends in Armed Conflict, 1946-2014, Conflict Trends, 1. Oslo: PRIO. Robert A. Heinlein’s seminal 1959 young adult science fiction novel Starship Troopers envisions a world in which democracy and military service are inextricably linked. In Heinlein’s novel, civilians and the military are so different that they are divided into distinct social classes: civilians are portrayed as a sort of protected patrician class, while volunteering for a term of service with the Terran Federation government – generally, military service – is the only way to gain citizenship, the vote, and the ability to run for elected office. Heinlein’s protagonist, a high school graduate and son of a civilian, rejects this comfortable life in order to join the Mobile Infantry in war against an alien threat. It is telling of military culture that, at several points since its publication, Starship Troopers has appeared on recommended reading lists in the United States Navy and Marine Corps. [i][ii] Heinlein, a former Naval officer, considered the volunteer military he depicted his work to be greater in civic virtue than the civilian public: “A soldier accepts personal responsibility for the safety of the body politic in which he is a member … The civilian does not.” This sense of elitism is shared by some in uniform today who view civilians as a “moocher” class that benefits from the efforts of the military. These soldiers view civilians as either perfunctorily thanking troops for their service or basking in the military’s reflected glory. [iii][iv] The delegation of the duty of war to the military class is paradoxically accompanied by a veneration of that same class. [v] The main thrust of the complaint is clear: a small group of people is doing the hard work of war, and the majority is not invested.